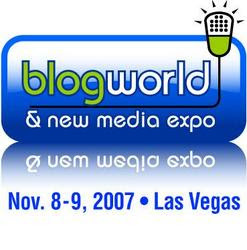 So I've seen a few polls as to why or why not some may or may not be live blogging at BlogWorld. Lisa Barone over at Bruce Clay wrote a post with 5 reasons why she will be live blogging at BlogWorld so I thought that I would come up with my own top 5 list. Here are the top reasons why I won't be attending BlogWorld in Las Vegas. #5. I believe in attending/studying from afar - not really, it just sounded good. #4. I didn't get invited - C'mon people, share the love, how about an invite to these things months in advance? #3. I didn't receive my Press Pass - what's a guy got to do to get a free press pass anyway? #2. I don't wear pajamas - word on the street is that there is a pajama party happening at the Hard Rock. #1. I heard that Mark Cubin likes to Dance - Mark is one of the keynote speakers at this years event. Seriously though I do in fact wish that I could be there. This is one conference that sounds like it will be informative and fun.